When you store products with good gravity flow (wheat, maize, barley, grains, granules, etc.) in flat bottom silos, emptying the last bit of material can be a hassle. In this case you may consider installing a silo sweep auger, designed for silo reclaiming of flat bottomed round silos after material gravity flow has stopped. 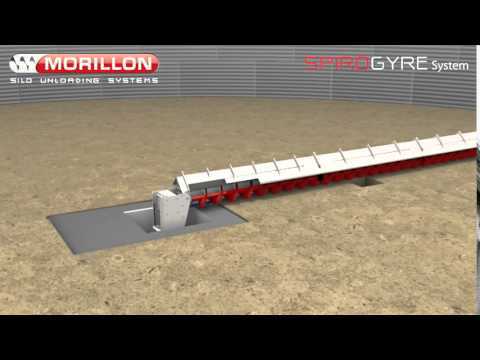 The MORILLON sweep auger is designed to unload flat bottomed round silos . This can increase your operating efficiency and alleviates the safety hazard of manually shoveling the residual material. 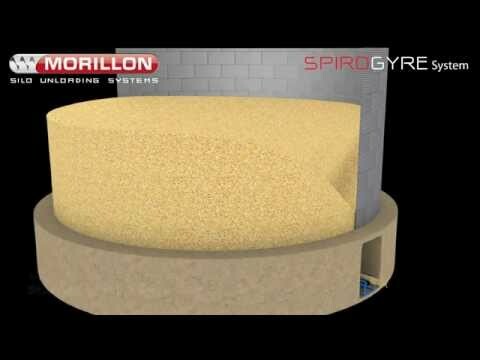 The rotating spiral “sweeps” material to the center whilst the arm completes a 360o rotation along the silo wall. Once gravity flow has stopped the auger screw transports material from the residual cone into the central outlet. The automated system starts up once the gravity flow has finished and ends emptying at a rotation of 360º inside the silo. The type “S” sweep auger is suitable for any granular product flowing by gravity (e.g. grains, seeds, pellets, etc.). Fitted to existing silos without additional modifications. Fully encased and supported for protection against fully loaded silo material weight. Cleaning brush option to ensure the floor is clean after a second rotation. Available in standard sizes but has an additional wheel option for silos exceeding 22 meters. Morillon (http://morillonsystems.com) is specialized in unloading solutions for flat bottom silos. Morillon http://www.morillonsystems.com/en/ is specialized in unloading solutions for flat bottom silos.